At present, newer technological developments are now paving the way for businesses to enter the digital period empowered by software solutions, which not just make operations a lot easier, but also lessen managerial efforts and enable businesses to place much focus on customer experience and producing, increasing revenue. At the lead of these solutions was the iPad POS system. Here at RedZone, we strive to offer you with only the best POS online Malaysia. For a business person like, it is all about being able to make sure to train your employees as fast as possible. The newer POS Software Malaysia offers this kind of convenience. The iPad is an intuitive, user-friendly and visual device. The makers of the software, which powers POS on these tablets wants to harness the ability of this user-friendliness in efforts to make the software applications easy to learn and use for wait staff and business owners. We understand that reporting is a crucial part of owning and managing a restaurant. Daily numbers, average tables, spreads, sales numbers and other delimiters are essential to making the right operational and budget changes to stay profitable. The point of sale system Malaysia solutions being offered on these iPad tablets allow simple one-button reporting, which generates such crucial reports in just a second so that management and owners are at all times in the know. Leading providers of F & B System also provide vibrantly and feature rich digital menu. These menus are powered by the same tablet, which powers the POS solution. Thanks to the well-designed interfaces, tablets can communicate between one another and back and forth from the cloud. Further, the POS tablet alerts the wait staff and the kitchen staff, and the meal preparation starts. On the other hand, digital time cards are being provided by top software makers and handy employee payroll systems. This allows hour and overtime tracking, scheduling and payroll functions for restaurants. Contrary depending upon separate payroll restaurant software, restaurants can now have the option to use one system to power their operation and streamline the operation and management of it along with an accurate and modernized digital software solution. One last consideration is that through an iPad POS, there is not a reliance on third party applications. This means that system makers are providing efficient cloud-based systems, which do not require a server to operate nor other sorts of application, and that are empowered by the cloud as well as the hard drive on the iPad. Such amazing software applications feature offline point of sales capabilities. Plus, the cloud-based access allows owners to access the system from anywhere. 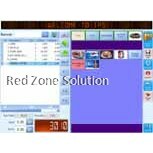 RedZone is the leading provider of restaurant pos systems solutions. 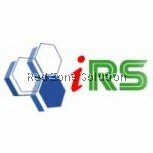 Our IRS F&B POS system can help lessen operating cost will improving operational capacity and increasing efficiency of hotels and restaurants worldwide.